Today we bring you more good news about a CIRM-funded clinical trial for spinal cord injury that’s received a lot of attention lately in the news. Asterias Biotherapeutics has treated its first patient in an expanded patient population of spinal cord injury patients who suffer from cervical, or neck, injuries. 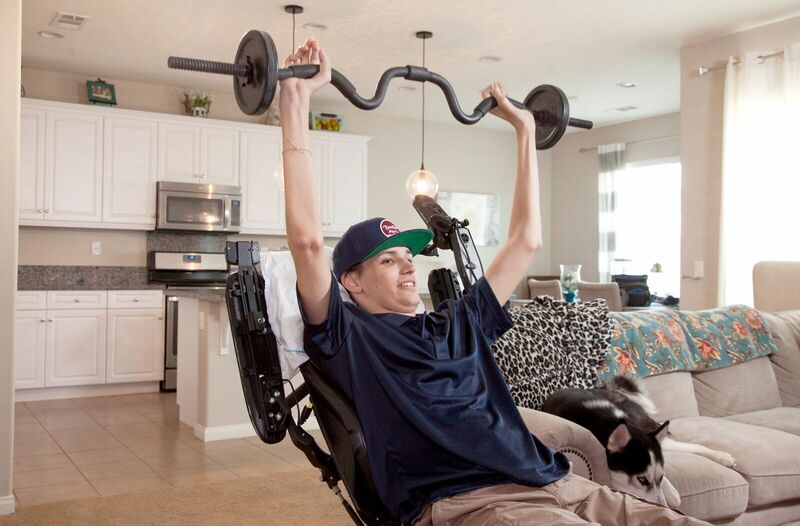 In late August, Asterias reported that they had passed the first hurdle in their Phase 1/2a trial and showed that their stem cell therapy is safe to use in patients with a more serious form of cervical spinal cord injuries. Earlier this month, we received more exciting updates from Asterias – this time reporting that the their embryonic stem cell-based therapy, called AST-OPC1, appeared to benefit treated patients. Five patients with severe spinal cord injuries to their neck were dosed, or transplanted, with 10 million cells. These patients are classified as AIS-A on the ASIA impairment scale – meaning they have complete injuries in which the spinal cord tissue is severed and patients lose all feeling and use of their limbs below the injury site. Amazingly, after three months, all five of the AIS-A patients have seen improvements in their movement. Today, Asterias announced that it has treated its first patient with an AIS-B grade cervical spinal cord injury with a dose of 10 million cells at the Sheperd Center in Atlanta. AIS-B patients have incomplete neck injuries, meaning that they still have some spinal cord tissue at the injury site, some feeling in their arms and legs, but no movement. This type of spinal cord injury is still severe, but these patients have a better chance at gaining back some of their function and movement after treatment. Dr. Donald Peck Leslie, who directs the Sheperd Center and is the lead investigator at the Atlanta clinical trial site, expressed his excitement about the trials’ progress. Asterias has plans to enroll a total of five to eight AIS-B patients who will receive a dose of 10 million cells. They will continue to monitor all patients in this trial (both AIS-A and B) and will conduct long-term follow up studies to make sure that the AST-OPC1 treatment remains safe. We hope that the brave patients who have participated in the Asterias trial continue to show improvements following treatment. Inspiring stories like that of Kris Boesen, who was the first AIS-A patient to get 10 million cells in the Asterias trial and now has regained the use of his arms and hands (and regaining some sensation in his legs), are the reason why CIRM exists and why we are working so hard to fund promising clinical trials. If we can develop even one stem cell therapy that gives patients back their life, then our efforts here at CIRM will be worthwhile. When you said Kris Boesen has regained use of his arms and legs, you meant to say “arms and hands”, right? I read the press release and slides and watched B-roll, and there was no mention of him regaining the use of his legs as of that date. It’s something to be hoped for, but Asterias was careful not to set the public’s expectations that high. All the charts showed more like two levels of improvement in patients so far, which is a fantastic amount of improvement in just 90 days for AIS-A patients. Hi Bob. Thanks for catching that mistake. I did mean to say arms and hands, but Kris has also mentioned that he is regaining some sensation in his legs which is very encouraging.